Far-infrared rays can penetrate 15cm inside the human body, promote microvascular circulation smoothly, enhance the body's immunity and cure rate! Special 3D pillar design, combined with the body curve in a gradual manner to target massage the buttocks, to relax the muscles of sedentary fatigue! This silicone seat cushion is healthy and safety ,which you can give as a gift for your family, friends or colleagues! Provide 2 year warranty period, unconditional return 30 days from the date of purchase. Any questions, please contact us immediately，we will solve the problem for you. 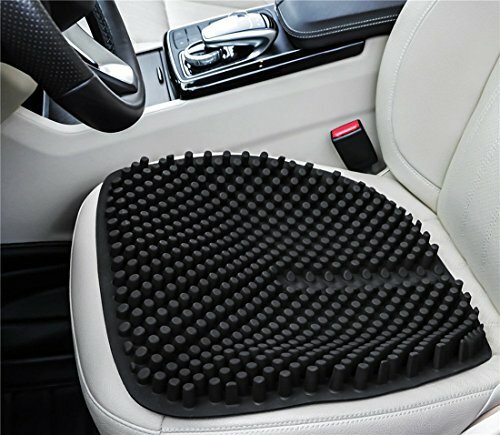 ★ SAFETY NON-SLIP : The small suckers at the cushion bottom is anti-skid, and suitable for office workers, drivers, students and wheelchair users who long time sitting! If you have any questions about this product by GRULLIN, contact us by completing and submitting the form below. If you are looking for a specif part number, please include it with your message.